Superstar Rajinikanth is currently busy with the shoot of Kabali film at ECR, Chennai where first schedule is happening. Rajini has recently spotted with Lyricists Kabilan of Kabali where the duo are sharing the food and later on went on a chit chat. Kabilan is completing penning the lyrics for this commercial action entertainer. 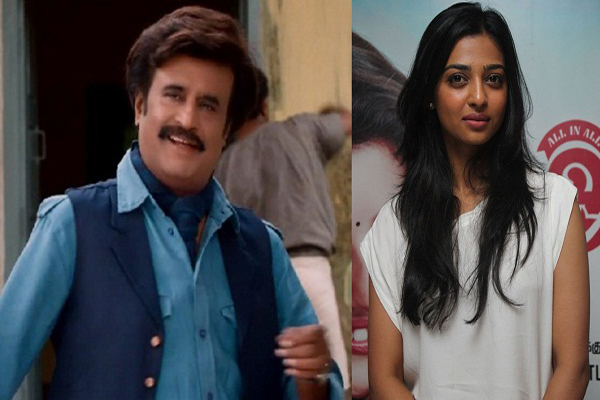 Kabali also features Radhika Apte, Dhansika, John Vijay, Dinesh and Kishore are playing important roles. Pa Ranjith is the director of the film and tunes are by Santosh Narayanan. Write & Share about "Rajinikanth shows his simplicity on sets of Kabali | Kabali Tamil Movie News | Cinema Profile" !